Relax, re-wire, and heal in nature with the support of mindful somatic meditation practices. Spend the day learning and exploring these practices for growth and healing. We will use the stillness of the desert with the bloom of life in spring, to cultivate clarity, growth and healing. 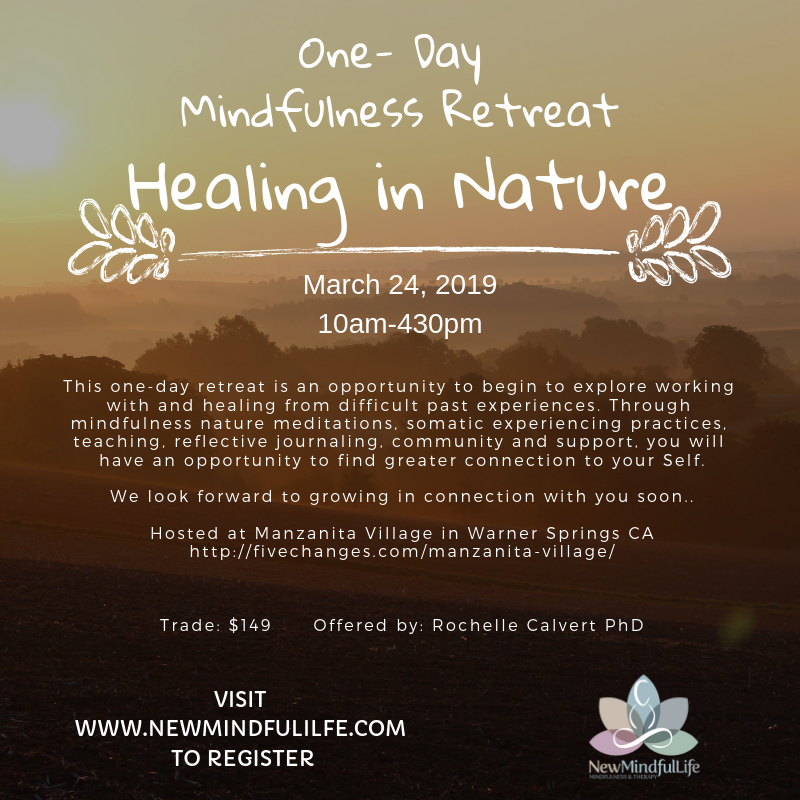 Through mindfulness nature meditations, somatic experiencing practices, teaching, journaling, community, and support, you will have an opportunity to find a greater connection to your self. You will learn ways to cultivate a greater sense of peace, equanimity in the challenging times, and skills to integrate into your everyday life that will support your healing journey. Bloom into the new possibilities of your health and well-being by taking the time to heal in nature during this all-day retreat. Materials on topics discussed will be provided, and opportunities for journaling will be available throughout the workshop. Mindfulness practices will be both seated and movement based.